My 1TB iMac died and I decided I wanted to move 400GB of photos and videos into the iCloud Photo Library and enjoy all the syncing features along with simplified backup protection. I purchased a 128GB SSD MacBook Pro. I cannot figure out any way to take three 100GB+ photo libraries and get them into the cloud library?? Joseph suggested a number of strategies he’d thought of, and discarded for various reasons. However, I’ve got an answer for him that he might actually like. Joseph is perfectly happy to pay for the cloud storage to keep iCloud Photo Library his master copy. Using iCloud.com’s upload. However, iPhotos and Photos doesn’t work directly with that: to make it work best you would need to export everything from iPhoto to make sure you’re uploading precisely what you want. And you can only upload JPEG-format images and no video. And it only allows files not folder to be uploaded, and you can’t preserve organization. Breaking up his photos and videos into 20GB Photos libraries, marking them as the master, letting them sync, then switching in another. (I’d highly recommend PowerPhotos to help with managing multiple Photos libraries, by the way.) That would work, but be extremely tedious, especially because as you swapped in new libraries, iCloud Photo Library would want to download optimized versions of everything already in iCloud. Here’s the answer: Get an external 1TB hard drive. These cost about $50 in an enclosure with high-speed connections. Copy your images and video to that drive, then create a Photos library on it, and import all your images. This will take a long time, so make sure you can leave the drive connected to the MacBook during this period. When it’s done, then you have the additionally tedious task of uploading 400GB to iCloud, which can take many hours or even weeks depending on your broadband connection. That task, you can interrupt: Quit Photos before trying to unmount the drive, then unmount in the Finder. You may find that iCloud sync is still trying to keep ahold of the external drive’s file, and you may need to shut down to unmount. After the upload is finally complete—Joseph, you may have a very long beard by this time—you can then create a fresh Photos library on the startup drive. (Hold down the Option key and then launch Photos to create a new one.) 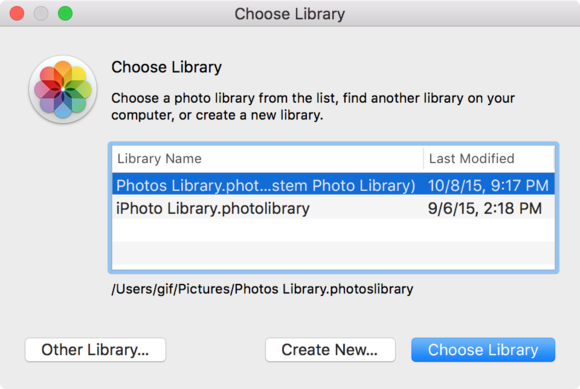 With that library, enable iCloud > Preferences > iCloud Photo Library and set Optimize Mac Storage. 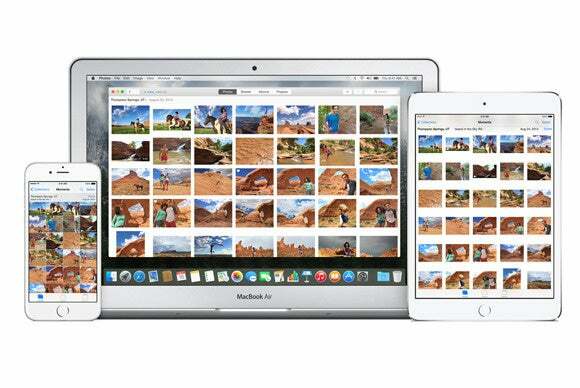 You may need 40GB or more free to sync the 400GB, but it should work just fine. Hold down Option when you launch Photos, and you can select a library or create a new one. Hold down Option and launch Photos. Select your external drive’s Photos library. Now you can set the iCloud Photo Library option to Download Originals to This Mac, and get that one up to date, before reverting back to your MacBook Pro’s internal drive library.